PRAGUE, Czech Republic – According to the statistical data provided by the Czech Statistical Bureau, bicycle sales in 2010 were slightly above 300,000 units (was in 2009 estimated at 360,000). Production in the country were estimated at 435,000 units. 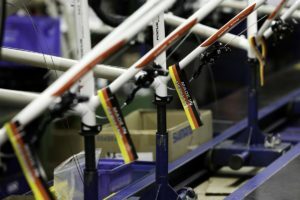 Bicycle export stood at 322,934 bicycles with a value of 58.7 million euro. A year earlier bike export was estimated at 400,000 units. 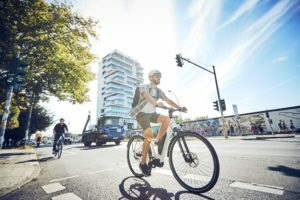 PRAGUE, Czech Republic – According to the statistical data provided by the Czech Statistical Bureau, bicycle sales in 2010 were slightly above 300,000 units (was in 2009 estimated at 360,000). Production in the country were estimated at 435,000 units. Bicycle export stood at 322,934 bicycles with a value of 58.7 million euro. A year earlier bike export was estimated at 400,000 units. Bike were mostly exported to Germany, the Netherlands, Austria and Slovakia. Bicycle import numbered 184,246 units at a value of 44.5 million euro. Bikes were imported from Taiwan, China, Germany, Indonesia and Sri Lanka. 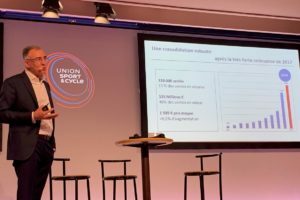 The import of electric bikes totalled 8,084 units with a value of € 2.6 million. E-bikes were mostly imported from China, followed by Italy and Taiwan. The export of e- bikes numbered 567 units and headed to Slovakia, Cuba, and Austria. In 2010 450,000 bicycle frames in the total value of € 9.7 million were imported into the Czech Republic from China, Taiwan and Vietnam. The yearly value increase was 7%, up 5% by quantity. 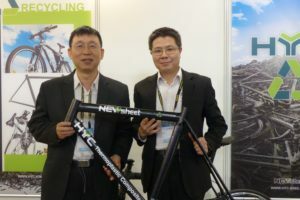 Taiwan was the second biggest bicycle frames exporter with 17,411 pieces, and Vietnam was the third with 4,333 frames. Bicycle frames export from the Czech Republic in 2010 was more than 90% lower (2,328 frames only) than in 2009, when 30,690 frames were exported. Importers are from Germany, the Netherlands and Great Britain. In 2010, 406,308 front forks were imported in to the Czech Republic from China, Taiwan, Germany and Vietnam while 3,974 front forks were exported. Rims for bikes show a similar picture with an import of close to 490,000 units. In 2009 the import of rims stood at 545,000. In 2010 the British Halford group abandoned the Czech bicycle market due to low profitability. Not long after French Decathlon opened their all-sport mall in the city of Liberec. 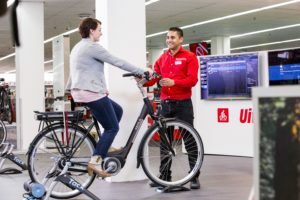 The bicycle sales department is one of the bigger ones, located in an inner area of 800 square metres. Some home producers of bicycles used the lower production load to modernize their production area, especially focusing on reaching top quality for the bicycles they produce. This trend was carried out for example at the Czech producer 4Ever. The company, for the sake of quality, abandoned assembly on a conveyor belt and introduced assembly at individual workstations. 4Ever also uses automated wheelbuilding machinery which, with the assembly at individual workstations, provides the possibility for fast, efficient small series production. In 2010, the ‘Czech Bike Industry’ was founded. It is an association of producers of bicycles and component makers. Expectations are high on what it is to achieve. It is to advocate an active approach towards consumers by organising club, sports, and recreational events. This not very new idea is used not only by Decathlon, but also by some successful, individual bicycle dealers. More on the bike business in the Czech Republic is on the next page; in the report of the bike show For Bike 2011.